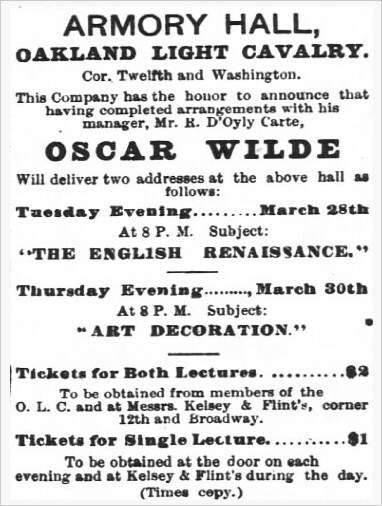 At this point in in his lecture tour, Wilde was delivering two lectures: The Decorative Arts (which was an adaptation of his first lecture The English Renaissance) and The House Beautiful, which he reserved for when he lectured twice in the same city. 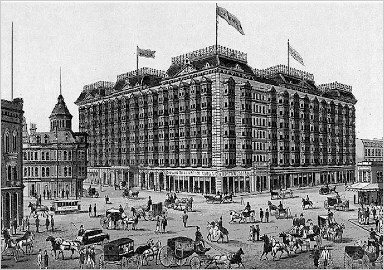 In San Francisco, however, Wilde was scheduled to lecture four times. Wilde, therefore, resurrected The English Renaissance for an additional lecture. 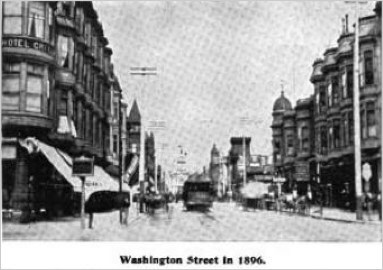 The reason he had previously adapted this lecture was that it had proved 'too lengthy and theoretical for many in Wilde's audience' , and it is evident from the reported content that he delivered a variation of it in Oakland. 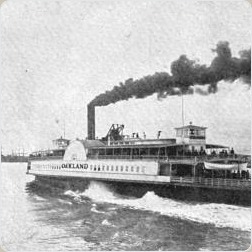 Holland, Merlin. 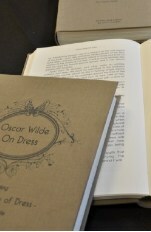 The Complete Letters of Oscar Wilde edited by and Rupert Hart-Davis, London: Fourth Estate; New York: Henry Holt, 2000. 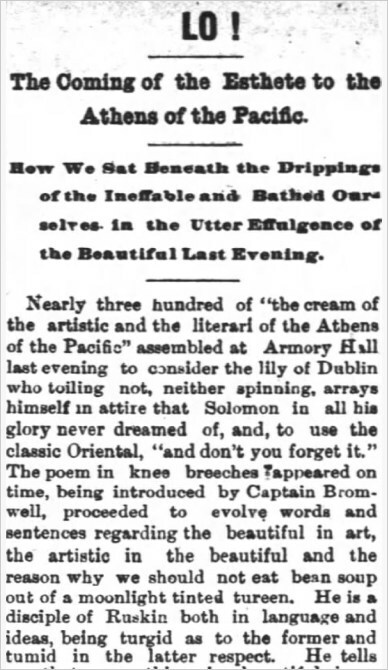 The personal column of the San Francisco Chronicle for this day contains a notice to the effect that Oscar Wilde would present a diamond ring to the most aesthetically dressed lady at his next lecture in Oakland. The other notices provide an insight into other personal matters of the day. 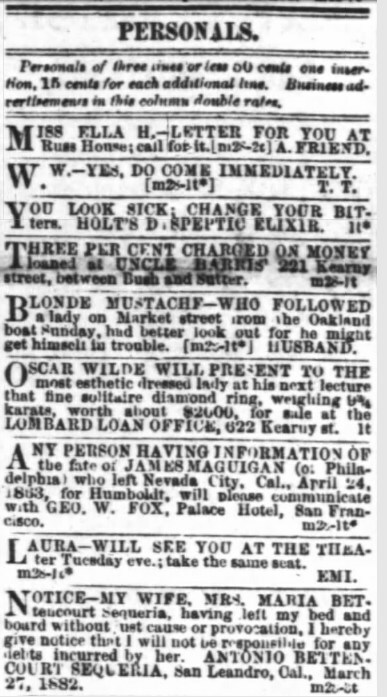 The one above the Wilde notice contains a warning to a man who was on the same ferry boat that Oscar took over from Oakland to San Francisco after his arrival in California two days earlier.